Knights of Creativity Spirit & Ale: Kiss Me...I'm Human! Obviously, today is Saint Patrick's Day. A day when everyone wishes to be Irish. It's easy, just put on some green, where a leprechaun hat, and drink till you sound like one. Funny, I remember as a kid, being raised in a non-alcohol - WASP home, the deep desire to know what it would be like to be Irish. I ended up marrying a second generation New York Irish lass, who showed me the ins and outs, as well as the ups and downs, of being raised in an Irish Catholic home. Then came my need to find roots in my family ancestral records. I even did a DNA test, and low and behold what did I discover? I'm freakin' Irish! Not much, mind ya, but enough to wear the "kiss me pin" without shame, or being named Seamus. My oldest blood roots are Roman, Scandinavian, Germanic, and Cherokee. The Romans married into the Germans and became Franks...the Germans and the Britons married becoming Anglo/Saxon...the Vikings settled in Scotland and Ireland blending with the locals to become Scots and Irish...the Vikings at the same time mingled with the Franks and became Normans...the Normans marry the Anglo/Saxons and become English. The Cherokee remained untouched. Now at this point I have Scottish and English family members fighting each other, Irish and English ancestors fighting each other...and Cherokee family members waiting for a fight, except for the many fights they had over centuries with other Indian Tribes (ain't war grand?!). Eventually, my Irish ancestors would align with England and become protestant, my Scottish and English ancestors would help to form the United Kingdom, my English ancestors moved to Virginia, Georgia and South Carolina, some married into the Cherokee, some would fight for England, and some for the Colonies during the Revolution. Eventually, they all became members of the United States of America. See the pattern...comprehend the common word? UNITED! My family story is probably similar to a lot of peoples stories. We stand against immigration, being immigrants ourselves. We loath peoples religions and different beliefs, not aware our ancestors once shared those same thoughts we hate today. We call ourselves American...but really we're just mutts! Same with the English, the French, the German's...and so the human story rolls...we're all just a messy pile of humanity. Now is the time to unite. Unity through Diversity! It's what made our species strong, and will continue to do so. We can't afford to be inbred idiot's. We are meant to expand, explore and explain why Unity through Diversity is the final solution. 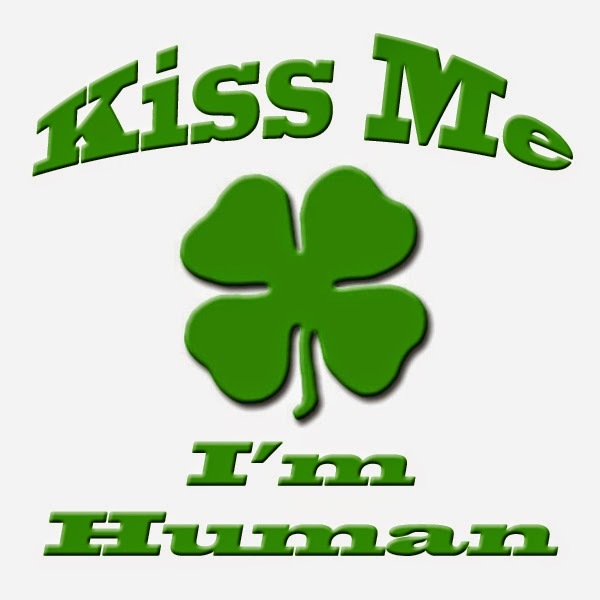 So today I raise a glass and proudly exclaim, "KISS ME...I'M HUMAN!"